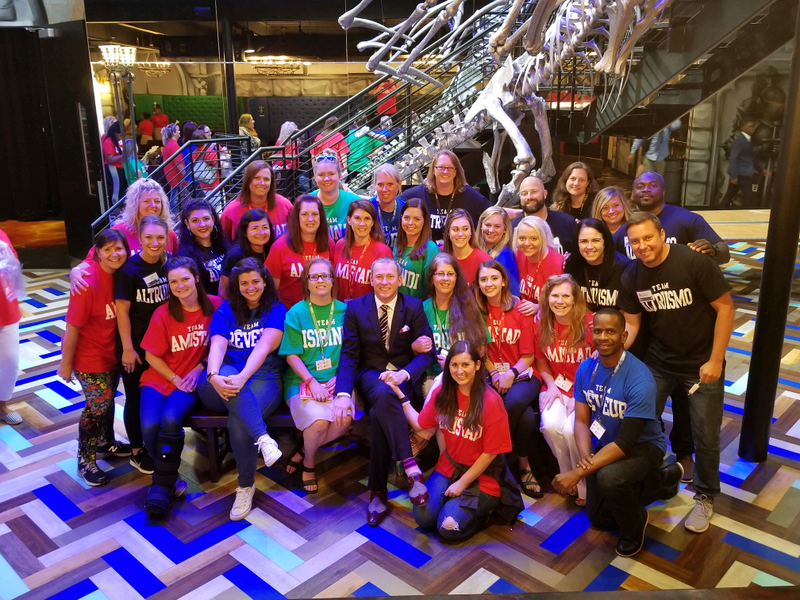 Last week, twenty-nine teachers from Houston Middle School traveled to Ron Clark Academy (RCA) on a bus to participate in professional development. Ron Clark is an educator who founded the RCA in Atlanta, Georgia. Clark is a New York Times bestselling author and motivational speaker on the topic of inspiring educators. Several years ago, Clark visited Memphis for an inspirational speaking session offered to legacy Shelby County Schools—which many of our teachers still remember. But, according to Susan Simmons, a teacher from Houston Middle, his motivational speech was only a taste of the experience in comparison to visiting his home turf. 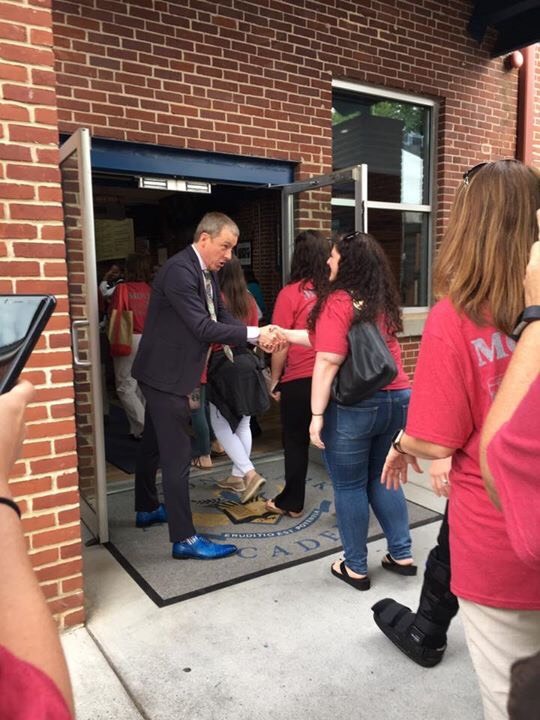 The Ron Clark Academy is a highly-acclaimed, nonprofit middle school that has received both national and international recognition for its success in educating students with academic rigor, passion, and creativity balanced by a strict code of discipline. Their students represent various socio-economic and academic backgrounds and communities from across the Atlanta metro region. It hosts thousands of teachers each month on daily tours throughout the classrooms, giving other educators a chance to experience the strategies and interact with the RCA staff and students. 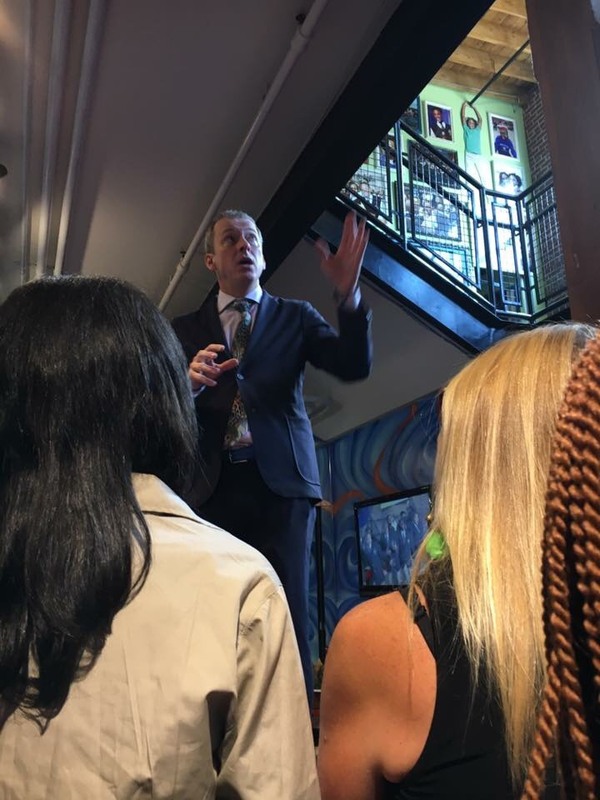 “There were 565 other teachers touring the building with the Houston Middle faculty, which is really something,” said Simmons, who was surprised by the volume of educators visiting classrooms at the academy. Simmons, who has read Clark’s books believed that, “the staff and the children really made his teachings come alive”. The sincere relationships she witnessed and the “exuberant and reflective way the students answered questions in class” stood out the most to her. “The authenticity of what we saw could not have been staged,” she shared. Central to the mission of RCA is that relationships are forged between the students and the teachers to allow for deep learning. 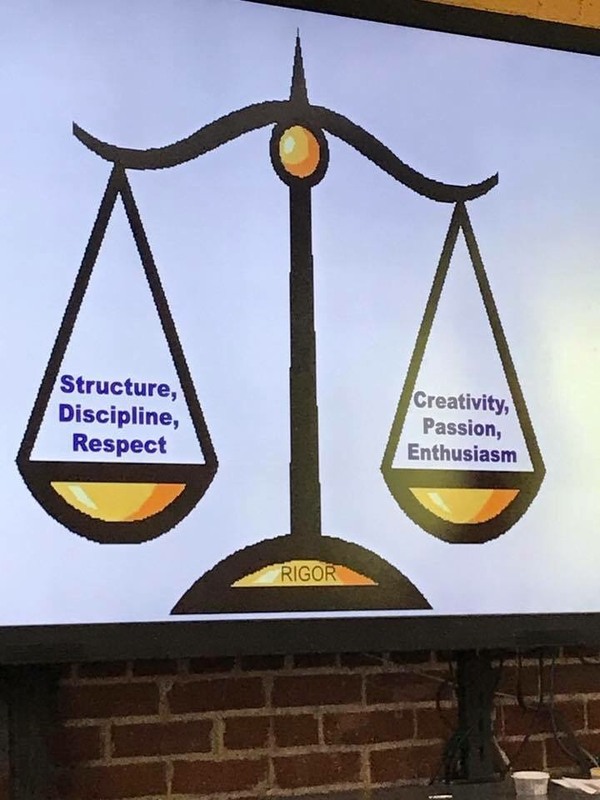 The students, feeling supported by one another and their teachers, engage with the learning and embrace the rigorous curriculum—knowing it is okay to make mistakes but to always propel forward. After twenty-two years of teaching, Simmons believes her time at RCA was “one of the most transformative professional development experiences of all time”. She cannot wait to bring back some of the strategies witnessed back to Houston Middle School, such as the house system (think Harry Potter-esque Hufflepuff House, Slitherin House, etc.). But, mostly she offers this takeaway, “You have to exude what you want to see in your students. Show the students how to be good to one another”. Principal Liz Dias went to RCA with a few other staff members months ago and knew right away that she wanted to offer the experience to the rest of her teachers at HMS. The school's PTO helped her raise the funds to send as many that wanted to go. GMSD can’t wait to see what strategies result from this once-in-a-lifetime professional development experience.